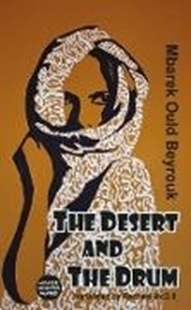 Everything changes for Rayhana when foreigners with strange machines arrive to mine for metal near her Bedouin camp. One of them is the enigmatic Yahya. Rayhana's association with him leads to her abandoning all she knows and fleeing alone to the city. When her tribe discover she's stolen their sacred drum they pursue her to exact their revenge. Though Rayhana has her own missing person to seek. The Desert and the Drum tells of Rayhana's rift with her family, the disturbing characters she encounters in the metropolis, her attempts to separate friend from foe and to find a place for herself amidst the contradictions of contemporary Mauritania.